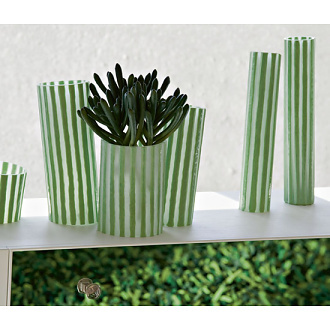 The whole poetic universe of Paola Navone is revealed in the new Gervasoni collection. The spirit of eclecticism, the pleasure of intermingling, the instinct to let loose one's imagination without limit of space and time. 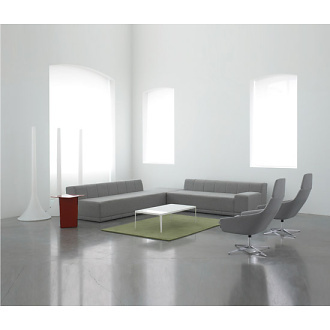 The various areas represented by the Gervasoni stand open onto one another, creating a uniquely fluid and permeable space: living-room area, an eating area and a sleeping area in which the new pieces designed by Paola Navone blend into a spontaneous game of cross-reference and suggestion. 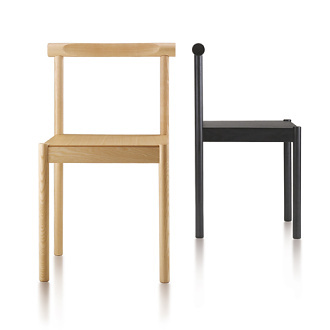 Each piece - articles of furniture, sofas, armchairs, tables, chairs and mirrors - tells its own story in its own language. Their blending stimulates the beauty of counterpoint, of life itself superimposed over things. The new and rich collection is known as the Sweet collection. 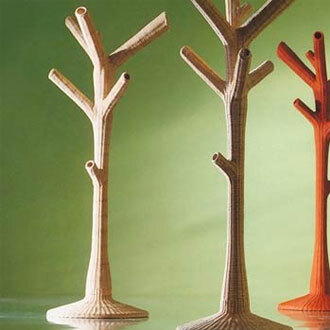 Included in the collection are articles inspired by different "worlds", by artisan knowledge going back to ancient tradition and accommodated by the modern and instinctively curious eye of Paola Navone. 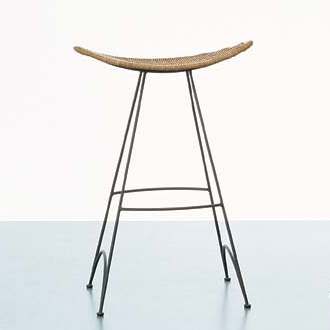 Traditional and modern materials - wood, marble, pressed bamboo, rattan, but also rubber and cement - are brought together with a sensitive and masterly touch and coloured in white, blue, grey to create a refined harmony of contrasts. Nothing is taken for granted in the new collection. 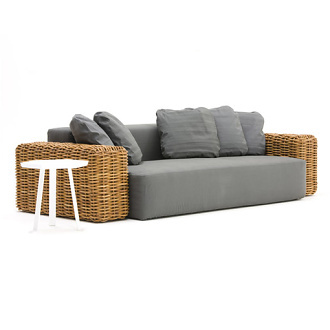 The sofas are characterised by a play of surprising proportions, in which the back and the armrests - both in the rattan interwoven version or the version completely covered in fabric - represent significant volumes which envelop the seat, like spacious rest surfaces. 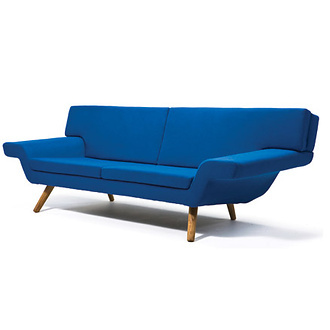 The fabric sofas come in two depths - 107cm and 130 cm - and in two different sizes. 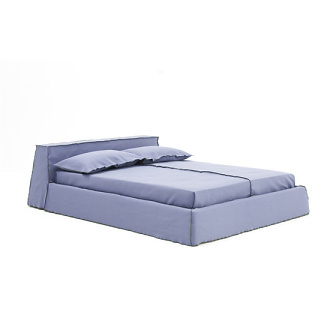 The range of upholstered fabrics is completed by an armchair, a pouf of generous dimensions ( 107 x 107 cm) and a special kind of day-bed of 260 cm. 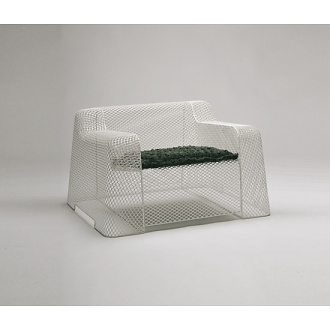 In the version with rattan interwoven armrests, there is a sofa and a refined chaise-longue. 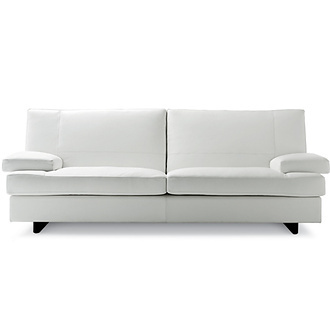 As with the sofas, the new bed from the collection has new proportions: the bedhead is wider, lower, slightly reclined to support the pillows and covered in fabric to ensure a harmonious effect with the bed as a whole. 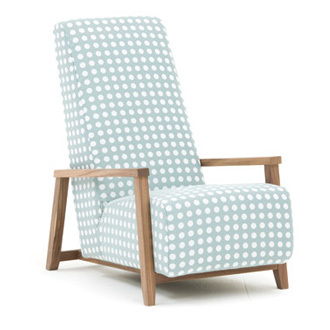 Still for the living area, but not limited exclusively to it, Paola Navone has designed a small upholstered armchair for Gervasoni, its frame and armrests made from walnut canaletto wood. 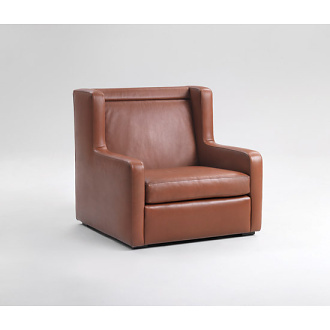 Here too, formal perfection is the outcome of a highly delicate play of contrasts between the slender structure and the full-bodied fabric seat, devised for maximum comfort. 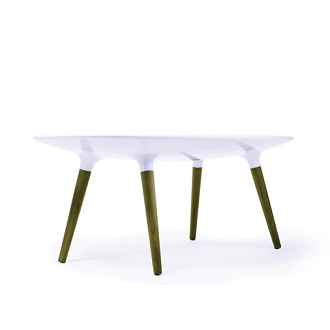 Ideal for single placement or in combination and arrangement with the new low tables of hexagonal form with walnut canaletto wood top and white-painted metal base, available in two sizes and at two different heights - 30 cm and 50 cm. 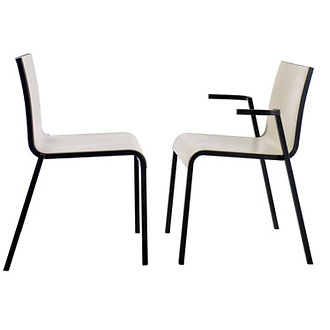 The collection's furniture-for-containment series recalls something of the charm and freshness of some articles of furniture from the Fifties. 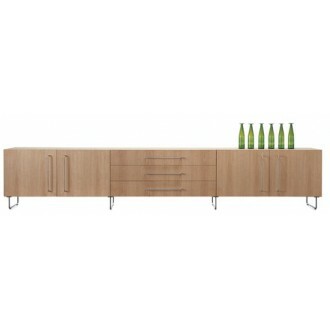 It comes in five different models with different dimensions and heights, from the low-lying two-drawer item - from 47 cm in height and 250 cm in length - to the model with drawers and door which is 70 cm in height. Up to the highest version of 180 cm by 140 cm in height. 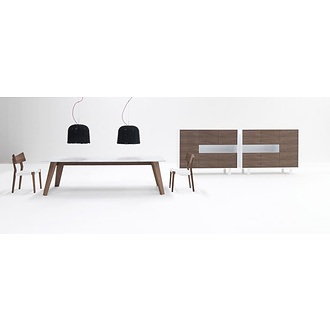 The rational rigour of the design is tempered by the sophisticated play of fullness and emptiness created by the drawers and the door - in walnut canaletto wood or pressed bamboo lacquered white or blue - leaving available open spaces. The image of these articles of furniture is delightfully pictorial. 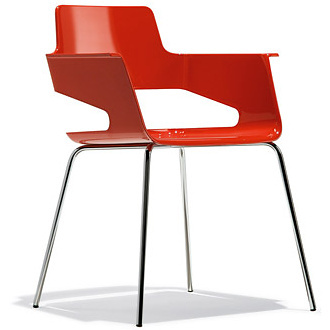 The doors and drawers are without handles and equipped with a press-open mechanism. 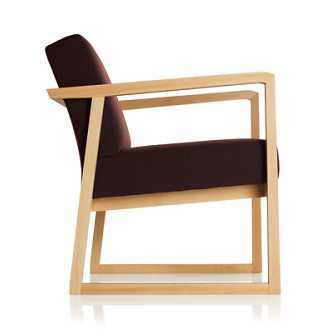 The new small interwoven armchair is as naturally beautiful and familiar as an object from one's earliest memory. 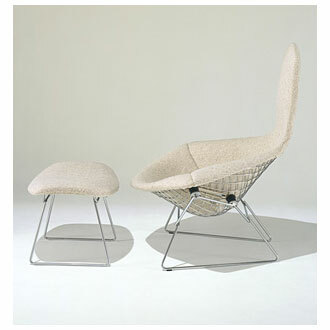 It retains the essence of the traditional comfortable and sturdy Philippine "papasan" seat which inspired it. 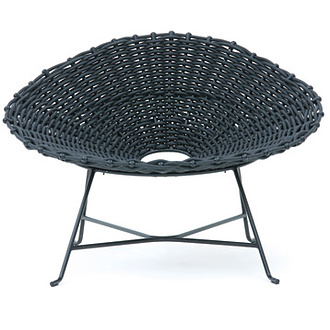 The materials, however, are different: iron for the three-foot support structure and black rubber tubing for the wicker work constituting the seat. 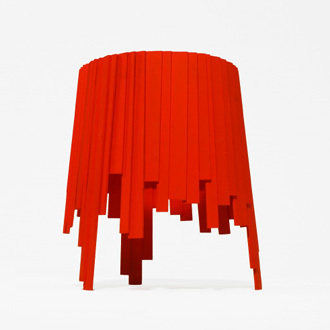 The same black rubber tubing - in smaller dimensions - is the material used for the new suspension lamp which comes in two generous sizes; the image is that of an interwoven basket turned upside down and suspended from the ceiling with a cable wrapped in red fabric. 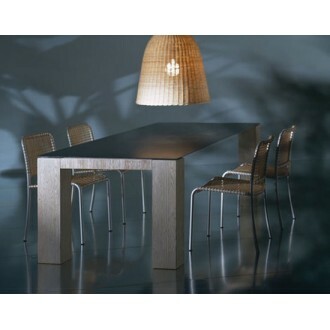 We have a series of tables for the dining area, with frame and legs in tinted oak and top in cement or Carrara marble. 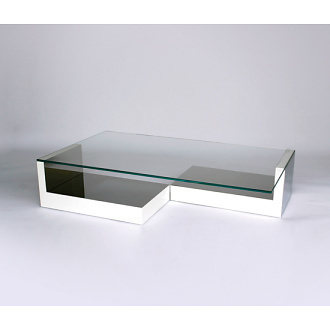 The products come in three sizes: rectangular 260 x 100 and 210 x 100, and square 160 x 160. 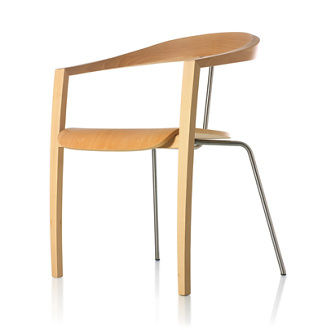 To accompany the tables is a chair in walnut canaletto wood with a curved wooden back and a seat of interwoven rubber or taut reinforced fabric. 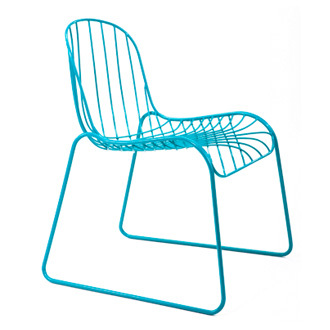 An unexpected guest has arrived from another "world", encountered In Buenos Aires, which has much in common with the objects created by Paola Navone. 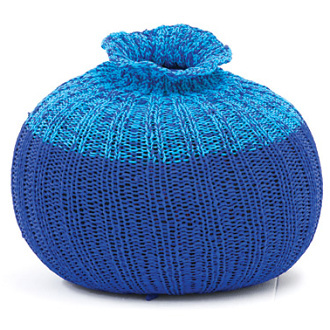 This is a knitted pouf designed by Martin Churba, a young Argentinian fashion designer with a talent also in dressing articles of furniture. 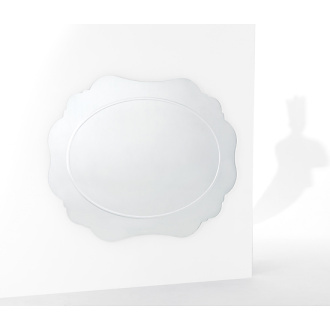 To complement the Sweet collection, a silk-screen mark decorates the new mirrors: a rose or a spontaneous graphic gesture, poetic as well as familiar. 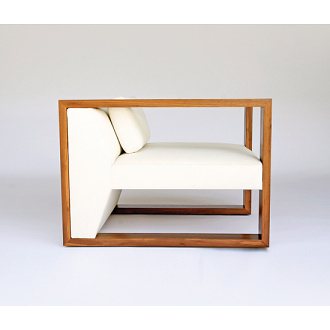 Love-seat, upholstery with polyurethane foams, removable covers. 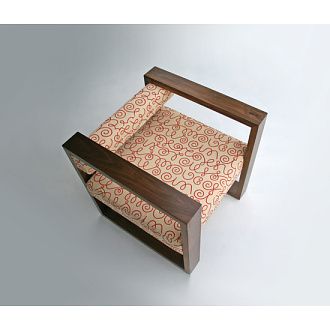 One back cushion in dacron and down 60 x 60 cm. 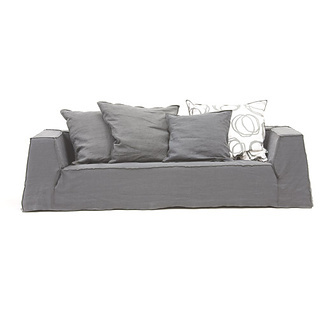 Sofa, upholstery with polyurethane foams, removable covers. 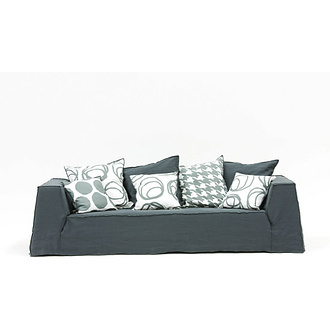 Four back cushions in dacron and down 60 x 60 cm and three 50 x 50 cm. 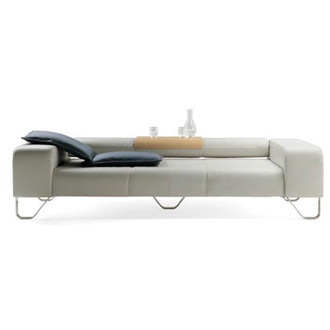 Sofa, upholstery with polyurethane foams, removable covers. 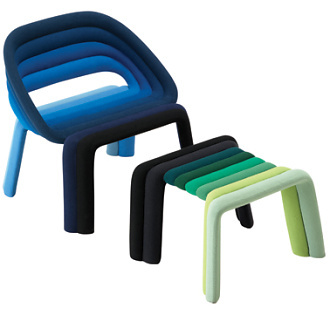 Three back cushions 80 x 80 cm, four 60 x 60 cm and four 50 x 50 cm. 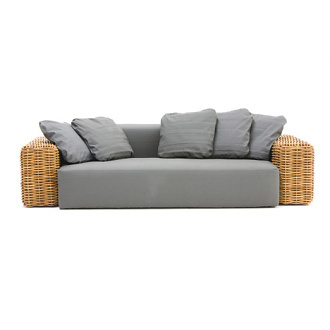 Sofa in handwoven giant calamus, solid wooden feet. 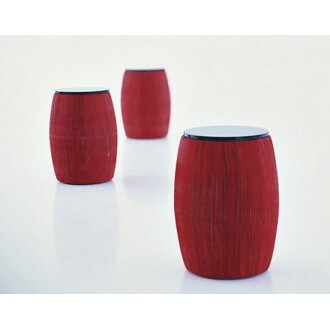 Five back cushions in dacron and down 60 x 60 cm. 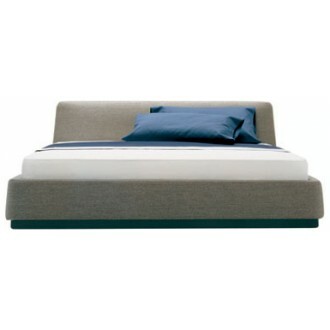 Upholstered knock-down bed, removable cover. 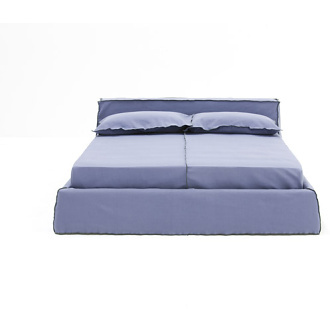 Only bed, for slat 180 x 200 cm. Suspension lamp woven with black matt PVC, 100 W, 220 Volt, with bulb. Table feet / frame and top in natural American walnut. 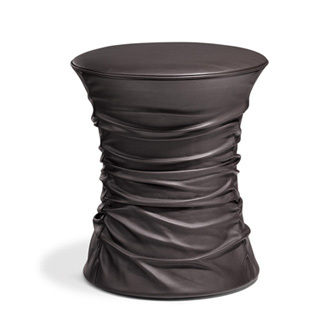 Available also with Ductal® concrete top or with white Carrara marble top. 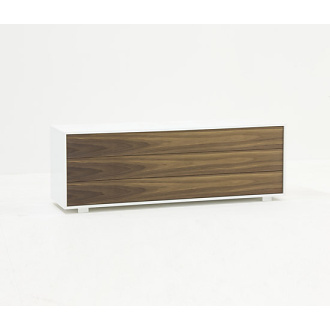 Storage unit in natural American walnut (SWEET 67) or white lacquered (SWEET 167), matt white metal feet. 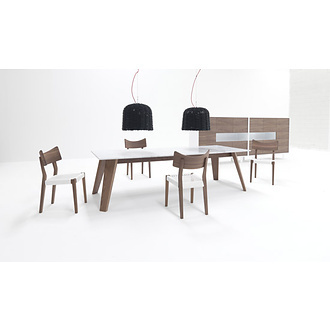 Five doors with light blue or white bamboo lamination front or in natural American walnut, four adjustable shelves. Chest of drawers in natural American walnut (SWEET 65) or white lacquered (SWEET 165), matt white metal feet. 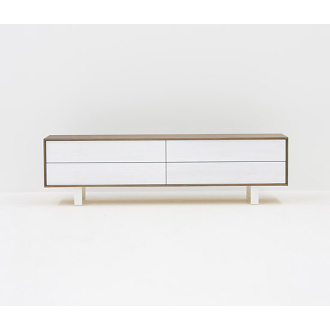 Three drawers with light blue or white bamboo lamination front or in natural American walnut. Chest of drawers in natural American walnut (SWEET 64) or white lacquered (SWEET 164), matt white metal feet. 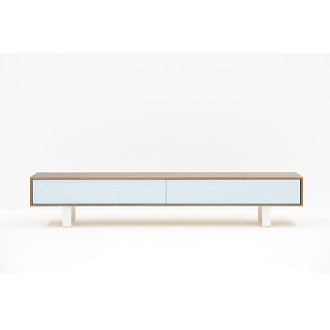 Four drawers with light blue or white bamboo lamination front or in natural American walnut. Chest of drawers in natural American walnut (SWEET 62) or white lacquered (SWEET 162), matt white metal feet. 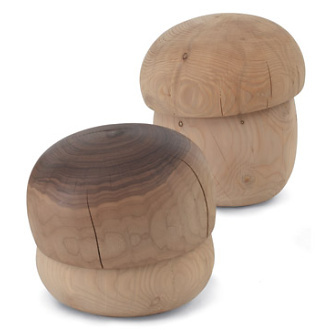 Two drawers with light blue or white bamboo lamination front or in natural American walnut. 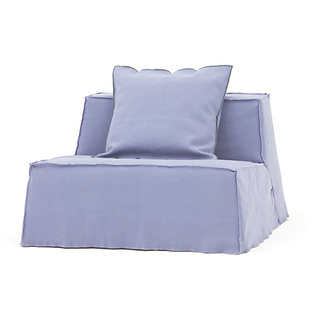 Ottoman, polystyrene upholstery, removable knitted cotton cover. 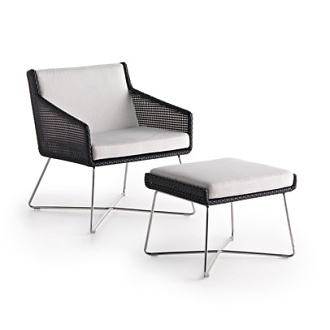 Armchair, matt black lacquered metal frame woven with black PVC. 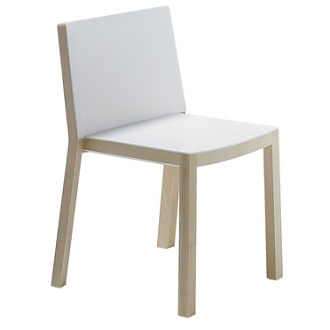 Chair in natural American walnut, seat woven with white or black PVC rope or upholstered. 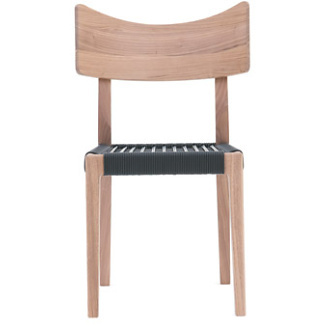 Armchair in natural American walnut, seat and back upholstered with polyurethane foams. Removable covers.